Mark the occasion with this unique, personalised ring! Use Roman numerals to symbolise a milestone birthday, anniversary, graduation - or any important day! Three brilliant 2mm diamonds sit between the day, month and year. 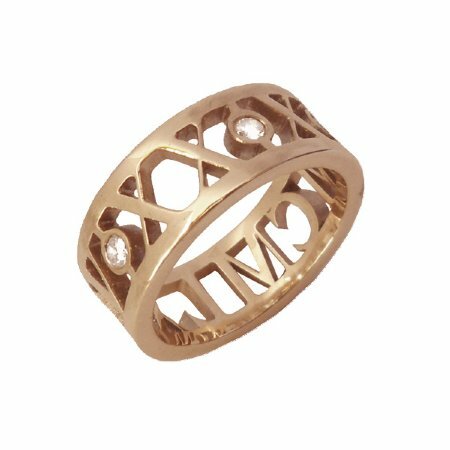 This ring is also available in silver, white gold and yellow gold. You can select a band width of either 6mm, 7mm or 8mm wide in any finger size above H. Each ring is custom made, so please allow 3-4 weeks for production.